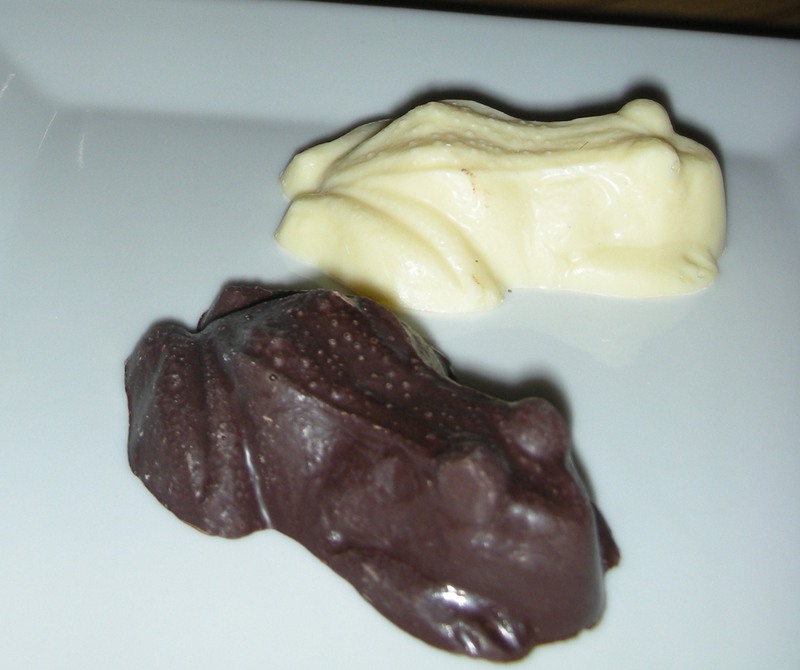 Once upon a time, an Aussie wandered east to California, to train as a chocolatier. Returning to Sydney some time later, he launched a range of chocolate dipped fruit, fresh, dried and glace. He dubbed them Naughty Fruits and supplied them to delis and cafes across Sydney. Then he packed his bags for Melbourne where he and his family wove their magic to create the Chocolate Fire Coffee Lounge to captivate the chocolate capital of Australia. Now, grab my hand and we will whizz through time to September 2011. Chocolate Fire has vanished in a puff of smoke from central Melbourne, and has magically reappeared in the heart of Salcedo Village in Manila. “Why Manila?” you ask? So did I. As the magician’s daughter Koby was upstairs designing a chocolate wedding cake, her new husband Casey related the family history. The Parcell family first came to Manila in the early 80s. A far cry from chocolate-making, Peter, our audacious chocolatier, was now on a mission to run around the world. This particular chapter involved running the length of the Philippines, from Ilocos Norte to the Malacanang Palace in Manila. During this episode, Peter and his family fell in love with the Philippines and the warmth of the Filipinos. So they stayed on and made an early attempt to start a business here with “Fudgies.” Despite the infamous Filipino sweet tooth, the locals weren’t too sure what to do with fudge and the idea never really took off. In the meantime, however, running became a family pastime. To celebrate the fifth anniversary of Peter’s first run Koby’s sister, aged only fourteen, ran the length of the country with her father, at the particular request of President Corazon Aquino. 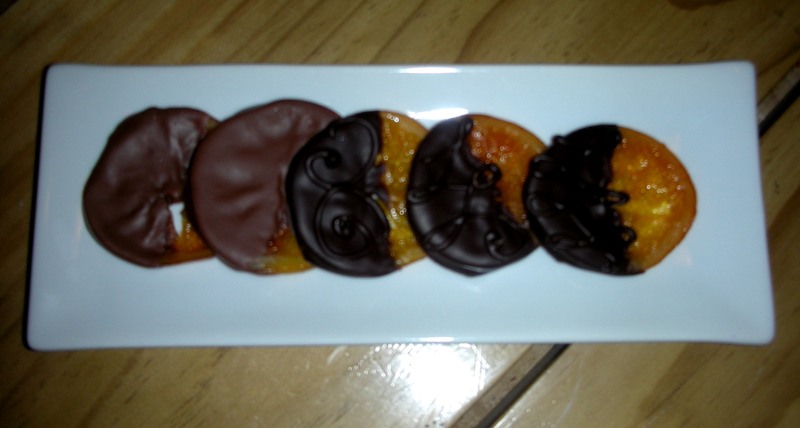 Several years later, with the success of Chocolate Fire in Melbourne, investors suggested developing the brand internationally. After much debate, it was decided that Asia might just prove to be a better market than the States, and Manila, (strategically placed, English speaking, and still friendly) could be the best starting point. The café in Melbourne was sold, but the family took the name and the product with them and Chocolate Fire opened for business in the Philippines in March 2010. Walking into Chocolate Fire is a delight, even if you are not a chocoholic. Slabs of chocolate, truffles and cakes elbow for room inside the glass display counters. And I was like a kid at Christmas even before I started to notice a vein of Aussie nostalgia running through the cafe. 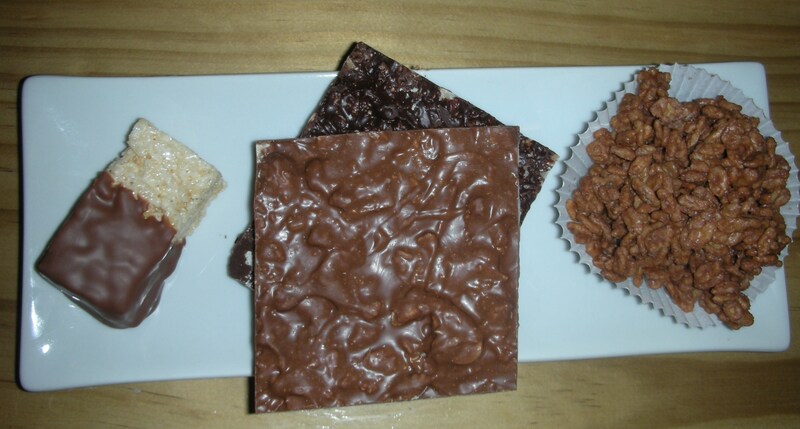 Chocolate frogs and chocolate crocodile lollipops; chocolate crackles and cornflake crackles, the mainstay of every 70s children’s party; chocolate dipped ANZAC biscuits; a slab of chocolate bark called True Blue seething with Macademia nuts (yum!) AND the honey comb crunch, a firm favourite with every visiting Australian, and a close relation to the long-time Aussie favourite, Violet Crumble. The chocolate dipped fruit strikes a chord with the locals: Californian strawberries, orange slices and dried figs, as well as seasonal favourites such as pineapple, mango and papaya. Kids love the chocolate lollipops and the Baby Chinos, and the coffee is the best I have found in Manila. Planning a romantic tête-a-tête? Try the chocolate fondue for two with a bottle of wine. Or for ladies-who-lunch, there are fabulous toasted sandwiches, something I fear I will be revisiting on a daily but doubtless calorific basis! Perhaps you are thinking of Christmas? There are some lovely boxed treats for family, staff and friends. 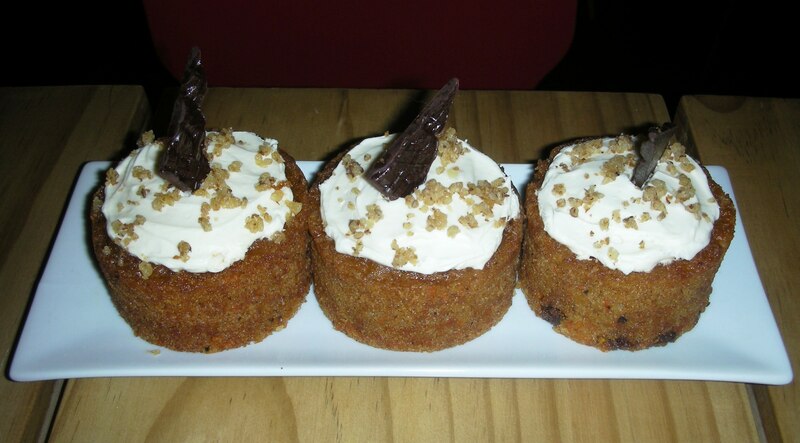 And there are some great little dome-shaped, muffin-sized cakes nicknamed ‘blobs,’ that come in chocolate, banana and carrot. Chocolate Fire also supplies other cafés, and is happy to cater for private events in the upstairs lounge. An earlier dip into the World Wide Web found Chocolate Fire starring in popular Filipino blog ‘Our Awesome Planet’ as the venue for a baptism party, complete with white-chocolate-Angel-cupcake. My son recently celebrated his sixteenth birthday there, and had a brilliant evening. Simple but sweet: Spaghetti Bolognese and chocolate fondue – at the same time, if you don’t mind! But, I hasten to add, at his guests insistence, not Koby’s. Koby apparently excels at creating buzz for the café. “Twitter is a really strong tool for us” says Casey. And new creations pop up on their Facebook page daily, although Koby laughingly says she’s run out of room on the register and has told Peter to slow down on the inventing. When dropping in for the BEST mortadella paninis, I asked my sons if I could pick them up some treats. ‘What is your favourite?’ I foolishly asked. Anything and everything it seems. “Mum, its chocolate!” came the heavily sarcastic “der” response. This entry was posted in Food & Wine, Philippines and tagged cafe, chocolate, chocolate fondue, manila, salcedo. Bookmark the permalink. 2 Responses to Volcanoes in Salcedo! How lovely to hear about this treasure. Please may I have a volcano? 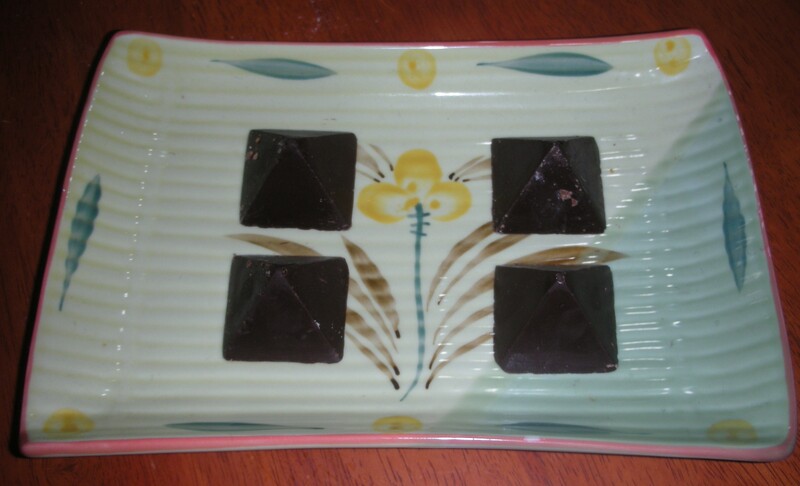 Chilli chocolate is my favorite. Will bring you a bag next time I’m in Sydney – or take you there for a visit – whichever comes first!